After years of functioning solely as a blog, Plant Food ROCKS has officially become a nonprofit organization. At the core, we still promote the benefits of following a plant-based diet. But now, we’re expanding our mission. We are approaching healthy living from a more global and comprehensive perspective. As a solution to the healthcare epidemic our country is facing, I was inspired to take a back to the basics approach. I take that to heart! It’s my most sincere desire to help people understand the impact a nutritious diet has on your health. I believe it’s especially important during this tenuous time in our country where healthcare is so uncertain for millions of people, especially those with low income. So, the changes to PFR reflect those desires. The “why” is we envision a society where we seek plant-based foods to heal our bodies, renew our minds, and to replenish our spirit to the point where we ultimately eradicate overpriced healthcare because it won’t be necessary beyond preventive care. Establishing that vision led to a new target population – kids. My hope is to begin with the younger generation to inspire a life of healthy decisions. The sooner we teach kids to appreciate the benefits of eating their veggies and growing their own food, the more likely they are to live healthy and to share those habits with their families. The first part of this vision is to partner with schools in urban, low-income communities to start school gardens. As I do with healthcare, I also believe everyone should have access to fresh, nutritious, organic food. They don’t have to be able to shop at Whole Foods, they can grow their own groceries. I’m super excited to share that PFR has launched its first school garden project with Merrill Road Elementary School. This amazing school is home to approximately 700 pre-K through 2nd grade students. They’re absolutely adorable and LOVE working in the garden. Fortunately, they’re accustomed to working in the flower gardens they already have on campus. This school garden project will be their first edible garden. 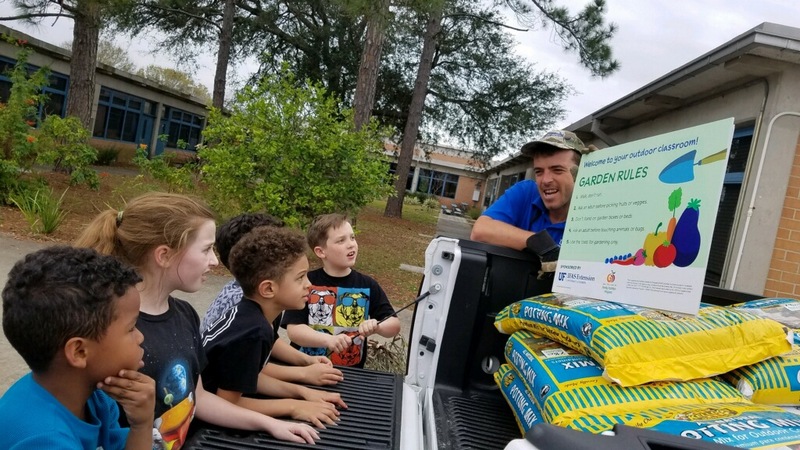 Thanks to a partnership with University of Florida’s extension office, we were able to build the raised beds in the school courtyard. The next step was to identify which seeds we’d plant. Since summer break is coming up, we need seeds that will hold up to the heat and drought conditions with very little hands-on attention. So, we’re planting tomatoes, cucumbers, basil, mint and sweet potatoes. 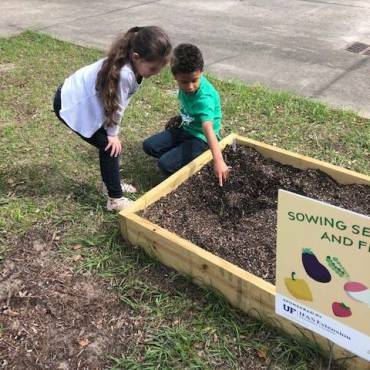 I look forward to the day the kids make the connection between the seeds that they plant in the ground and the veggies that sprout up as a result. I’m excited about the journey ahead and I hope you will come along for the ride.